The 2011 addition of Art Basel Miami was punctuated with a variety of exhibitions from newcomers to more established and well known artists, as well as a whirlwind of parties and promotional events. From November 30th to December 3rd, Miami was the place to be, showcasing work from 260 international galleries. With a reported 50,000 attending, a multitude of private jets touching down at Opa-Locka Airport and big names like the Yankee’s Alexander Rodriguez hosting VIP events it’s safe to say that Art Basel 2011 in Miami was nothing short of a whirlwind. As for the art, which for all intents and purposes is meant to be the real star of the show, reports are that even in this somewhat uncertain economic climate sales were brisk (the majority of the buyers were said to be American, a departure from recent years that saw many from Russia, Brazil and China). Parties centered around the art exhibition have become a big part of what Art Basel Miami is all about. Some of the most talked about included the shindig hosted by Ferrari at 1111 Lincoln Road and the party hosted by Aby Rosen at the Dutch. 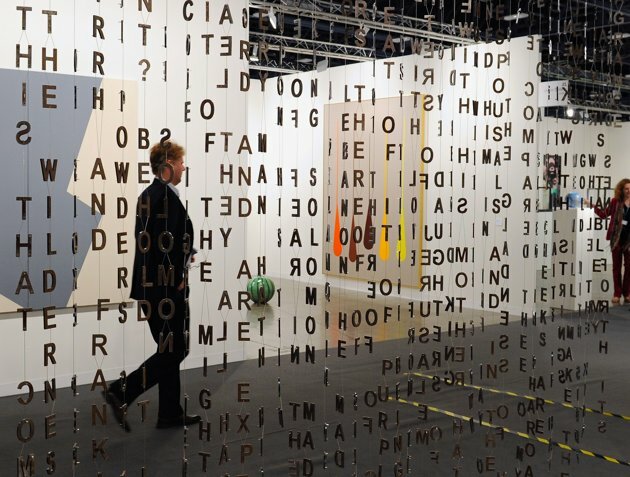 The relationship between art and business was a key element of the most recent Art Basel and it seemed that many eschewed the more controversial exhibitions and installations, preferring to stick with more commercial viable options. In a similar vein, many companies like Ferrari–who enlisted artist Marco Brambilla to create RPM, a 3-D film–promoted themselves using the art and artists surrounding the event. Other examples of this included Dior engaging Anselm Reyle to design a purse for them and the line of accessories designed by Liam Gillick for Pringle of Scotland. Whatever your level of interest in art, commerce or parties it becomes clearer with each Art Basel that the event holds something for everyone. If you’re planning to attend the event next year we’d recommend getting a head start on accommodations now, as the influx of travellers makes high end options scarce. Villazzo offers a wide range of luxury villa rentals with options to rival any five-star hotel–like personal concierge services–and space and privacy that no hotel can match. This entry was posted on Monday, December 19th, 2011 at 1:45 pm	and is filed under Miami, Nightlife. You can follow any responses to this entry through the RSS 2.0 feed. You can leave a response, or trackback from your own site.